Address and stamp all the envelopes ahead of time, it will save you a step later. Write the notes as gifts come in. It’s reasonable to expect that wedding presents will start being sent to your house about 3 months before the wedding. If you write each note the day you receive each gift, you will hardly notice the time spent! And actually, you REALLY should be writing notes as soon as you get gifts, don’t leave people hanging for 6 months. Emily Post has a great story about a society bride who was getting hundreds of gifts and wouldn’t go to bed until she had written all the notes for the gifts that had come in that day. 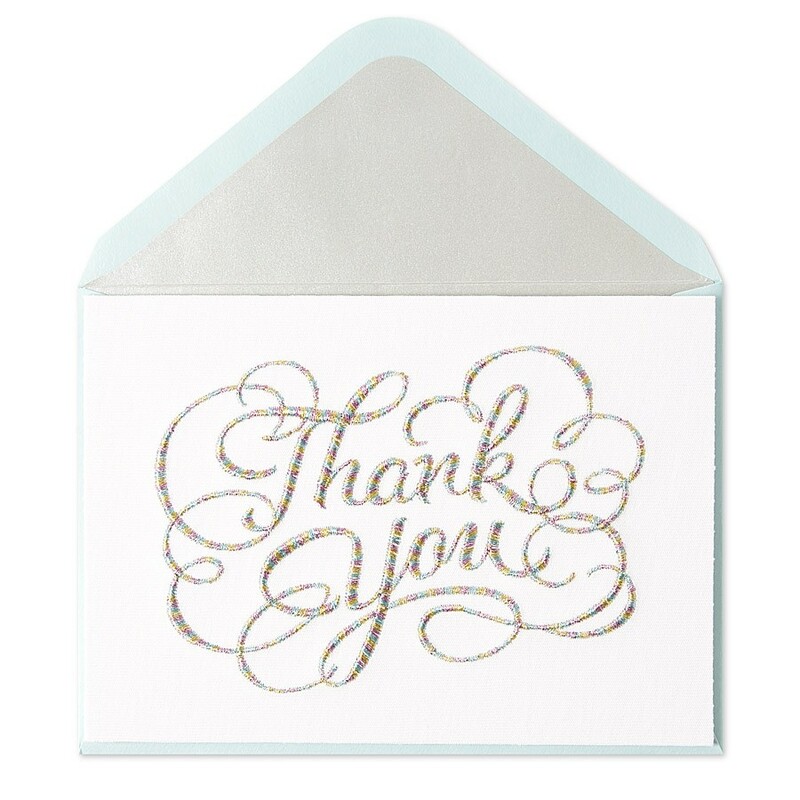 Use thank you note writing as a fun newlywed date night- get some delicious takeout, some wine, and get cracking! You can even share your memories of seeing each guest at the wedding with each other. Just buckle down- write 5 the second you walk in the door every night and you will be done in no time.